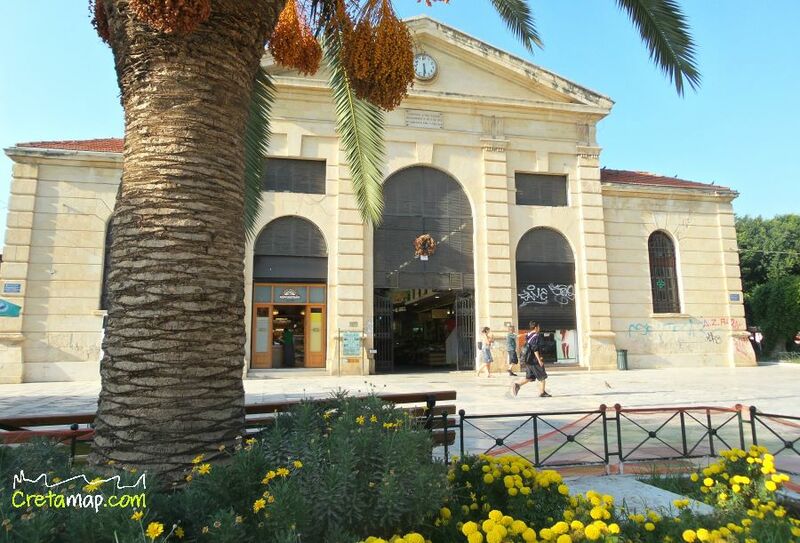 The Municipal Market of Chania ( Agora in Greek ), is situated in the centre of town. 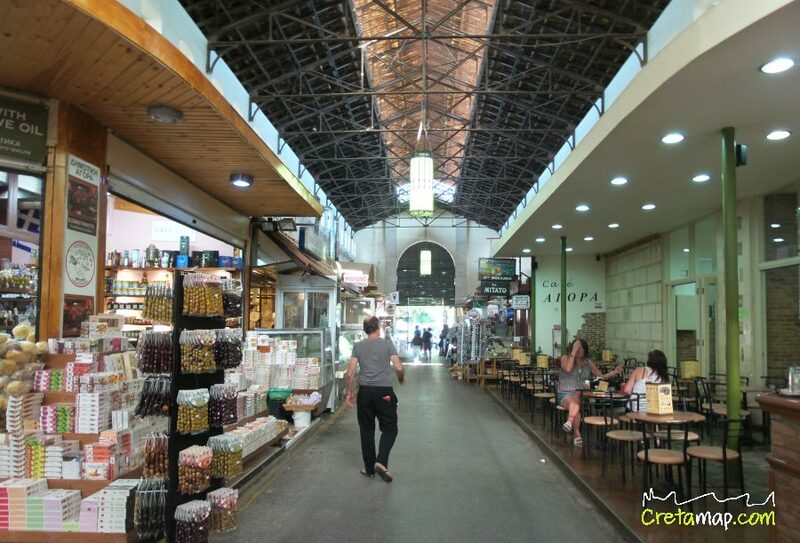 It is a covered market and is considered to be the heart of Chania town. 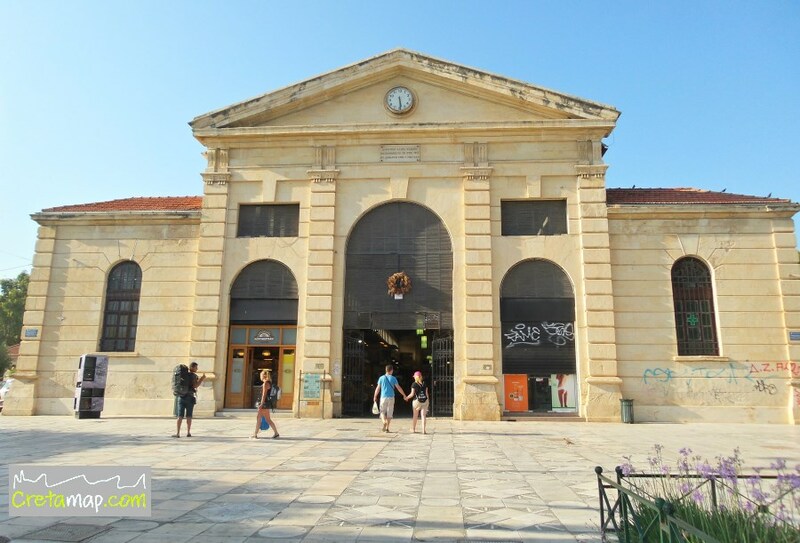 A building of 4,000 square metres in a surrounding area of 17,200 square metres, the Municipal Market of Chania was erected in the period of the Cretan State and influenced by the market of Marseilles. 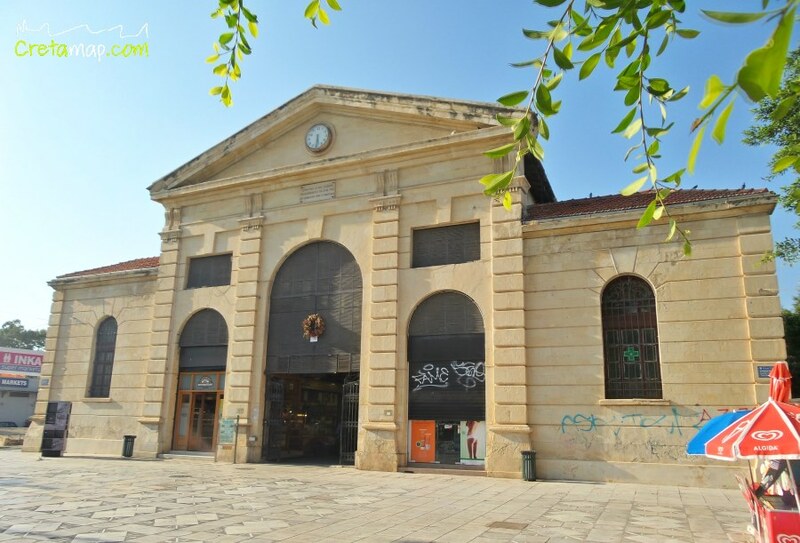 The Municipal Market was built on the site of the former Venetian Pittafora bastion and materials from the fort were used to actually build it. 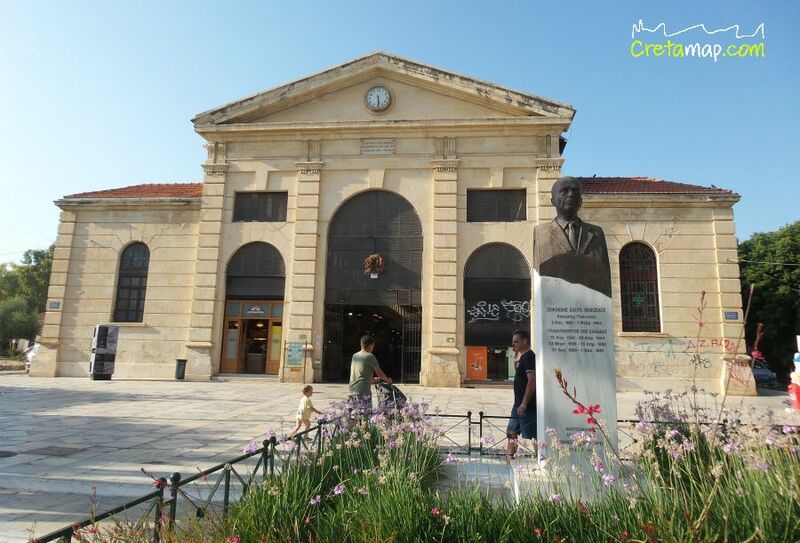 The building was founded on April 14, 1911 by the Municipal Manolis Mountakis and was inaugurated on December 4, 1913 by the Prime Minister, Eleutherios Venizelos, celebrating the Union of Crete with Greece. It is in the shape of a cross and has four doors, one to each arm, with shops that are grouped according to their products in the aforementioned arms. 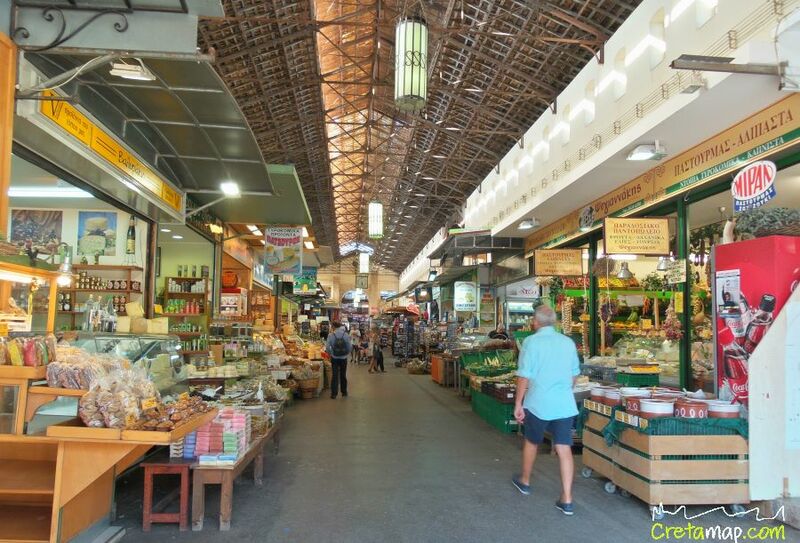 It has been used as the town’s public market ever since and in 1980 it was designated by the Ministry of Culture as a monument. 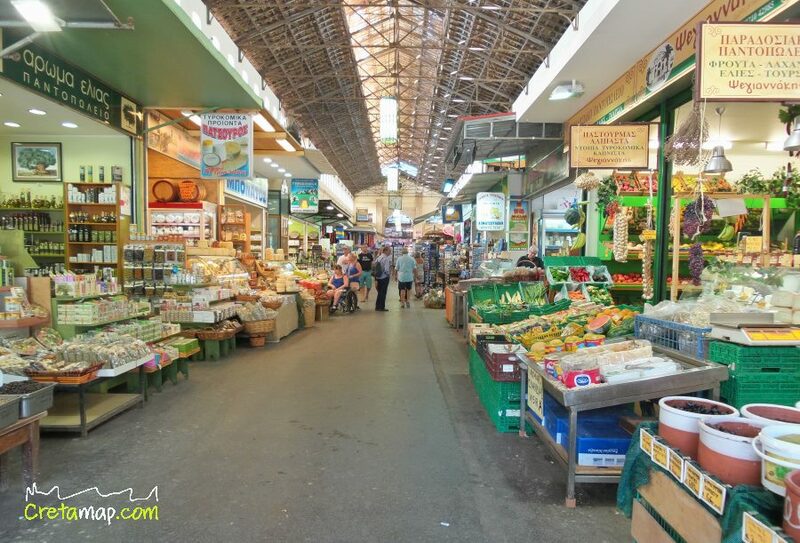 It houses 76 shops, such as grocery shops, bakeries, meat, fish, cheese stores while many of them sell the local Cretan herbs. There is also a pharmacy and some restaurants and cafes frequented by the locals during the day, especially on Saturdays. 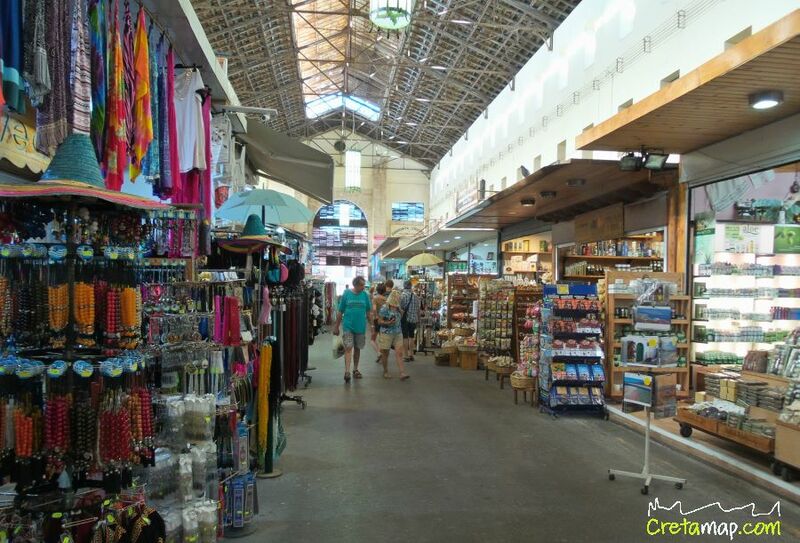 The market is open on Mondays, Wednesdays and Saturdays from 8.00 – 14.00 and on Tuesdays, Thursdays and Fridays from 8.00 – 21.00.